Experience has taught me that the most important thing one can do while enduring the Foreign Service recruitment pipeline is to continue living life as if they won’t make the cut this year, and that means having a backup plan. For Lady Vick and I, that means the Peace Corps. Because real jobs are dumb, and so are toilets. This has been especially true since 2011, when the Foreign Service started hiring “at attrition” due to budget constraints, effectively negating their previous plan to fill-in staffing gaps that currently plague the service (see GAO report: http://www.gao.gov/assets/600/591596.pdf). This means that someone has to resign, retire, ….die, or be promoted to open an entry-level spot that a newbie can fill. In practical terms, this has meant that roughly 20,000 FSOT-takers compete for a few hundred FSO jobs each year. Based on recent statistics that I’ve gleaned from the interwebs, there are now about 8,000 FSOT-passers competing for about 800-1,000 slots at the Oral Assessment stage. A few hundred will pass, and still fewer will be FSOs one year from now. I am confident in my application, but I am also a realist. I jam-packed my application and narrative essays with all the multicultural experience, leadership, innovation, military stories and intrepid selflessness that I could. I tried to show how open-minded I was, how much I cared for my fellow man and how I can think on my feet when the going gets tough. But what if, at the end of the day, that’s not enough? What if I need even more? Ah, the Peace Corps… Something nobody actually does, right? Well, it’s still a thing. If you’re down to go someplace depressing charmingly authentic for two years and make no money, the U.S. government will fly you there. While that may not be everyone’s cup of tea, and while I would certainly rather go directly into a diplomatic career, I would really enjoy a tour in the Peace Corps. Before Lady Vick and I met back in 2013, we had both already started the Peace Corps application process (then we met and yada yada yada…). 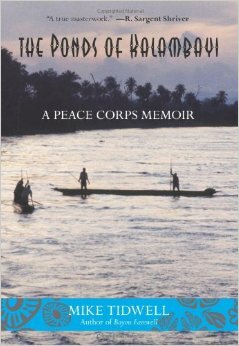 1) The Foreign Service Loves Returned Peace Corps Volunteers (RPCVs). Think about it… The Foreign Service needs people that can go abroad and represent the United States for tours that last about two years. That is literally what you do in the Peace Corps. The Foreign Service also likes to be fairly certain that, after spending $100,000 to hire and train you, you won’t melt down ten months into your first tour abroad. If you can hack it as a PCV in Vanuatu, you can handle the U.S. Embassy in Thailand, and the Foreign Service knows that. 2) Cultural Experience. You become fully immersed in another culture. This is very useful for the FSO selection pipeline because it will load you up with stories of how you communicated and worked through problems with people from your host nation; and you’ll probably enjoy doing it. If you don’t, you should probably avoid a diplomatic career. 3) Travel. You’ll likely be sent someplace that few Americans have the occasion to visit, and that’s pretty neat. This will pay dividends in small talk for years to come. Twenty years from now when a colleague is bitching about the freshness of the kale in his salad, you can recall for him the days you spent in the jungles of Madagascar, where you wiped yourself with something quite similar; and indeed, fresher is better. 4) Language Skills. You’ll learn a foreign language, which will grant you an automatic bump in your register score once you make it past the Oral Assessment (which will almost surely happen given knowledge, skills and abilities you acquire as a PCV). 5) QUIT YOUR JOB! If you’re applying to be an FSO, you’ve probably already dreamed about putting in your two weeks notice and walking away from your bland job, opting instead for a life of grand adventure and exploration. I like my job (I work at a think tank in DC), but I would drop it in a heartbeat for something new and exciting that I can rationalize as professional development. 6) You can still keep taking the FSOT. The FSOT is administered all over the world, and the Peace Corps does grant you a certain number of vacation days (which you can use to fly back to the U.S. for the oral assessment). If you make it all the way to the register, the Foreign Service even has a special exception for PCVs: your time on the register can be deferred until you return to the U.S. Beyond this, you can still take the FSOT every year. Theoretically, you could take the test twice while serving in the Peace Corps, make it all the way through the process twice, and have spots on two different registers when you return (assuming that you applied under two different career tracks). That’s delving a bit into the esoteric administrative side of things, but the point is that your Foreign Service ambitions keep developing while you serve (and if you’re obsessed with that, this is pretty cool news). 7) “You did that?” If you’re a certain kind of person, you’ve probably heard that before. People talk about doing a lot of things that they never actually do. They talk about finally leaving their home town, about joining the military, about ditching a great career to pursue a dream – and they talk about joining the Peace Corps. In the end, there are always compelling (and valid) reasons to not do any of those things. But taking the leap and just going for it, especially when nobody can assure you that it will turn out perfectly, is what makes it so gratifying. Road less traveled… so on and so forth. “You did that?”means that you’re probably a pretty interesting person. 8) Choice. 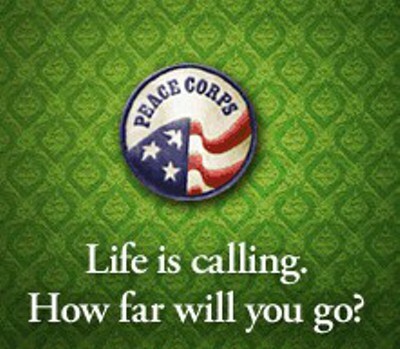 The Peace Corps drastically loosened it’s requirements for service in 2014. Now, you can join as a couple and you can choose where to go. They even have assignments in Jamaica for people that are less than open-minded about kale wipes. JAMAICA. Those are all the reasons I can think of right now. I’m sure that plenty more exist, but that pretty much sums it up for Lady Vick and I. We’re currently looking at an opportunity in Zambia to serve as Aquaculture Extension Specialists (http://www.peacecorps.gov/openings/3276br/ ) which has a departure date of early 2016. By that time, we’ll already know if either of us has made it past the Foreign Service oral assessment for 2015.